This device helps map out the field of vision of each eye, or if necessary, the visual field of the full field of vision of both eyes. 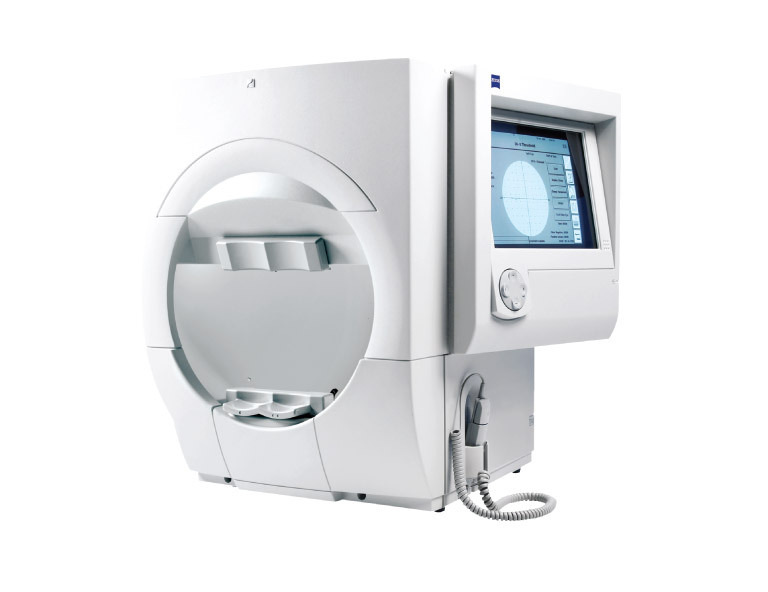 The visual field analyzer is used to track disease progression in glaucoma or to help map out impairment of the visual pathway further along the line, such as in the brain due to recent stroke or to help assess for compressive lesions such as tumors. 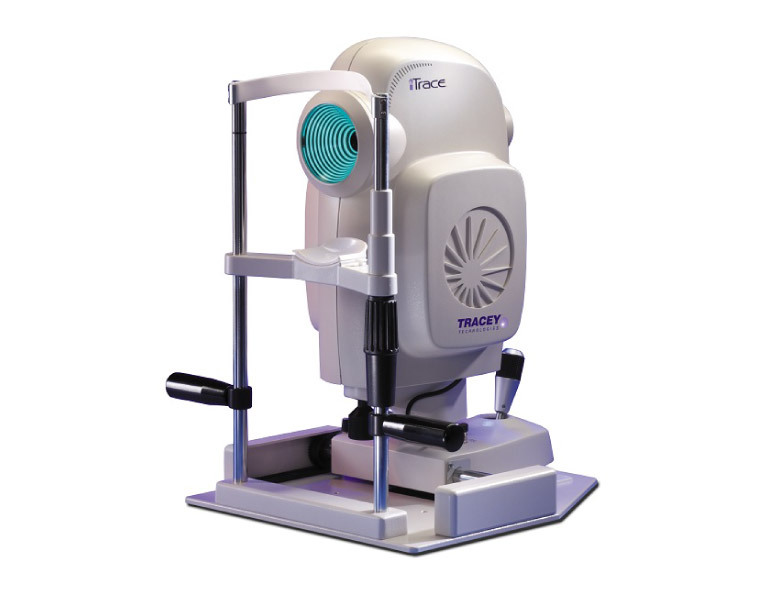 This device measures several metrics of the human eye in preparation for cataract surgery, including the actual length of the eye, as well as the total resolving power of the cornea and the thickness of the lens. 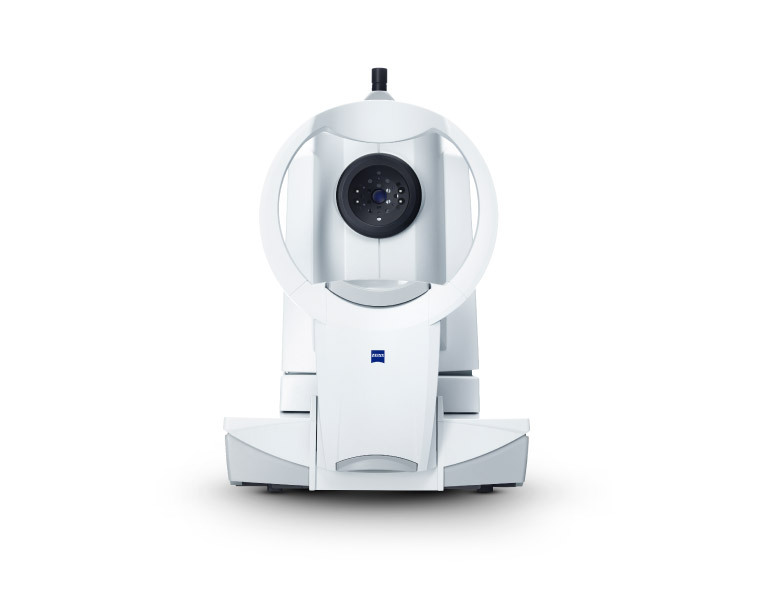 This latest generation of the industry-standard IOLMaster by Zeiss primes cataract surgery patients for the best results with accurate and reliable measurements. 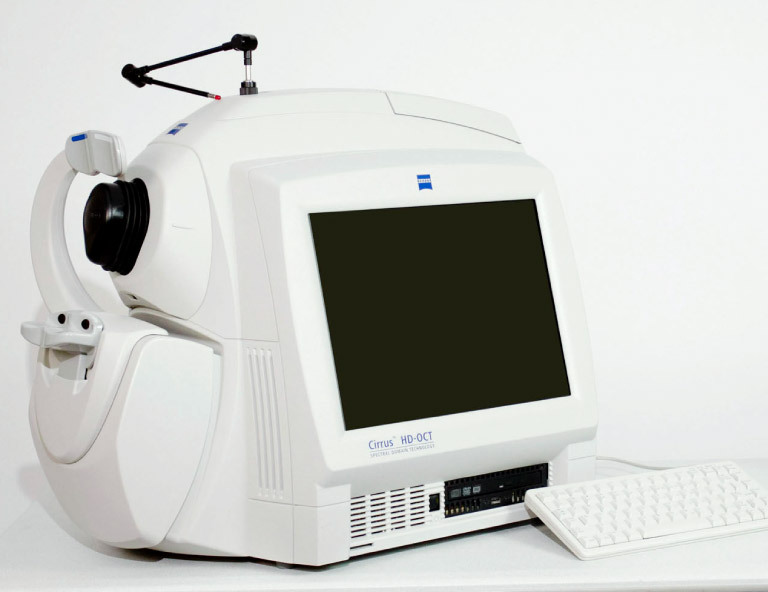 This high-technology device is an innovative marvel, using ray tracing wavefront aberrometry to really understand the innate topography of the cornea and the functioning of the internal optics of each eye tested, in order to provide the best results possible when selecting for an advanced technology intraocular lens implant. The OCT stands for ocular coherence tomogram, a non-invasive way to image the retina to provide sub-microscopic detail of the structure and function of the retina. Serial scanning of suspected and actual pathology over repeat visits is an excellent way to confirm findings and to monitor treatment progress of various conditions of the retina and optic nerve. This device is frequently used in glaucoma, diabetes and age-related macular degeneration management, as well as in several other conditions. 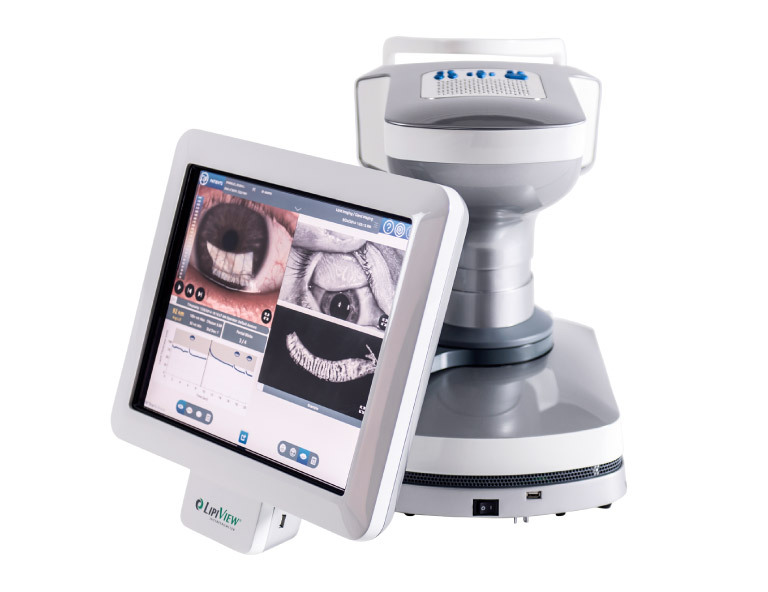 This ultra wide-field retinal camera can take detailed, 200o images of the retina and posterior pole of the eye in half a second. 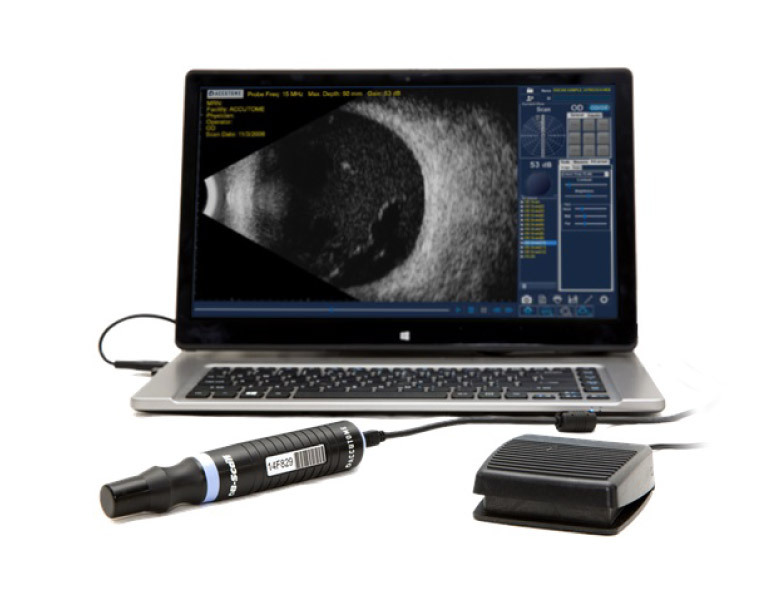 This camera is also equipped with an autofluorescence imaging mode, which can add valuable, additional information to your testing and can assist with diagnosis in select cases. This test is ideal for following patient with suspicious choroidal nevi (birthmarks at the back of the eye), with diabetic retinopathy, with age-related macular degeneration, with retinal tears and detachment and a whole host of other retinal pathology. It is also the best way to further your own understanding of your problem, as your images will be displayed in the exam lane where your visit with the doctor will take place. 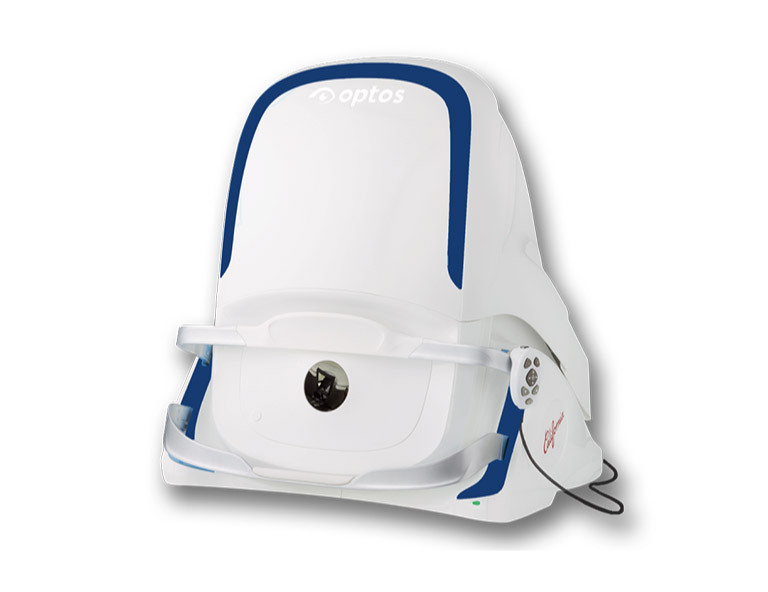 Read more about optomap on the Optos website. 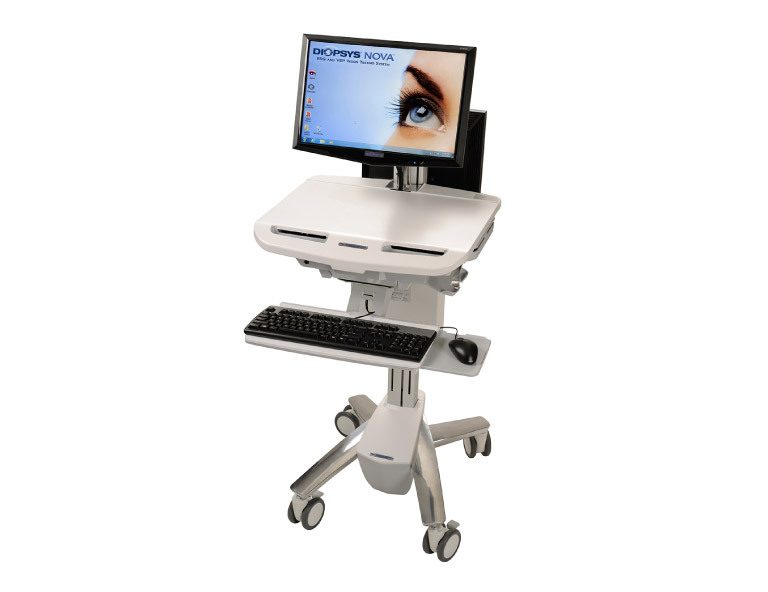 ERG and VEP stand for electroretinogram and visual-evoked potential, which are electrodiagnostic tests which, in the past, were cumbersome to arrange for and to acquire in a timely fashion. Thanks to this innovative platform, these painless and non-invasive tests can be performed quickly in-office and are used to obtain important information about the actual electrical functioning of the nerves of the retina or those of the entire visual pathway. This is achieved by testing each eye by itself and displaying a flickering visual stimulus to it, whilst recording the electrical signals being generated via electrodes which are comfortably attached to the eyelids and the back of the head. Read more about Diopsys on their website. Sometimes light and laser-based imaging methods are not enough. In cases where the view to the back of the eye is not possible, because of a dense scar in the cornea, a fully mature cataract, or a vitreous bleed, another option is necessary. Enter ultrasound technology, which uses sound waves to reconstruct a view of what is happening behind the blockage, to ensure eye health. Provides for an easy, comfortable and comprehensive assessment of the ocular surface and the important structures that ensure tear film health and stability. The information provided by this test is instrumental in directing care of dry eye disease.